Our panel of experts includes industry stalwarts who are dedicated to providing you with the most relevant and up-to-date information on health and wellness. Executive Director, Protein Foods and Nutrition Development Association of India. 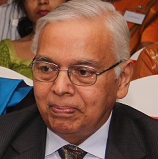 Prof. Jagadish S. Pai is currently Executive Director, Protein Foods & Nutrition Development Association of India. He retired as Professor & Head of Food Technology, UDCT (currently Institute of Chemical Technology), Mumbai University. He is highly experienced in research and industrial consultancy in food processing, dairy technology, protein and enzyme technology, biotechnology, etc. He is a member of various associations like the Scientific Committee of Food Safety & Standards Authority of India (FSSAI); National Scientific Advisory Committee, Min. of Food Processing Industries, Govt. of India, Scientific Committees of BIS, CSIR, Scientific Advisory Committees of ‘Heinz Nutrition Foundation of India’, ‘Health & Wellness of Coca Cola India’. He is a Fellow of ‘Association of Food Scientists & Technologist (India)’ and ‘Maharashtra Academy of Science’. He is also on Board of Studies of SNDT Women’s University for Food & Nutrition. He has received various awards including the Distinguished Teaching Associate Award, University of Massachusetts, Rana Award of AMI, KU Patel & JS Pruthi Awards of All India Food Processors’ Association, and Consultant to Food Industry. His qualifications are B.Sc. Tech. Food Technology, Mumbai University; M.S. & Ph.D. Food Sci. & Tech., University of Massachusetts, Amherst, USA. 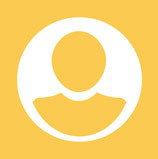 Dr. Swati has over 13 years of teaching experience and 8 years of research experience. Her qualifications include M.Sc. (Home) and Ph.D. (Nutrition). 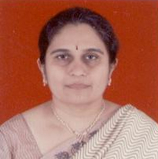 Recipient of the Sagarmal Goenka Award for presenting a paper titled “Dietary Management of Hyperlipidemia : Role of Spirulina.” at the XXXI Annual National Conference of the Indian Dietetic Association held on 16- 17th December, 1998 at Hyderabad. Recipient of Third prize for presenting a poster entitled “Contribution of Energy Dense Diet in the Development of Adiposity in an Industrial Set-up in Baroda” at the 1st Interdisciplinary Conference on Nutrition in Health and Disease held on 13-15th February, 2004 at Govt. Medical College, Surat. Recipient of the Award for Best Poster entitled “Nutritional Determinants of Non Communicable Diseases in an Industrial Set up of Baroda” at ‘Diabtrends’, II Annual Conference of the Research Society for the Study of Diabetes (RSSDI), Gujarat Chapter held on 26-27th April, 2008 at Surat. Won the ‘Best Poster Award’ which was selected for oral presentation entitled “Prevalence of Metabolic Syndrome and Assessment of Cardio-metabolic Risk Factors Among Young Adult Females” at the International Conference of Molecular Medicine ‘MOLMED – 2011’, Jan. 9-11, 2011, CHARUSAT, Changa. Conferred the Fellow of the Society of Applied Sciences on June 25, 2010. Recipient of the Second Prize in Poster Presentation for presenting a paper entitled ‘Industrial canteen evaluation and development of healthy feasible recommendations for health of employees’ at the State level seminar on “New Horizon of Nutrition” organized by Smt. Kamlaben P Patel College of Home Science, affiliated to Sardar Patel University, Vallabh Vidyanagar on 15th September, 2011. Recipient of the K G Naidu Medical Award for oral presentation on “Satiety Index of Selected Indian Recipes” at 44th National IDA Conference, AIIMS Hospital, Delhi on 3-5th November, 2011. Award for the Best oral research paper presentation entitled ‘Multiple food security through millets: Potential therapeutic implications of Kodari (Paspalum Scrobiculatum Linn) in the Teachers Category at the XXVI Gujarat Science Congress held on 26th February, 2012 at The M S University of Baroda, Vadodara. Recipient of Consolation prize in oral presentation (Clinical Nutrition category) entitled ‘Micronutrient malnutrition among rural school children: An operational research study’ at the International Conference on Food and Nutrition Technology for Public Health Care, organised by International Institute of Stress Management and Allied Sciences (IISMAAS) on 4-5 May, 2012 at Jawaharlal Nehru University, New Delhi. Recipient of Third prize in oral presentation (Nutraceutical and Health Care category) entitled ‘Kodari (Paspalum Scrobiculatum Linn) as a functional food: Need to promote underutilized millets in India’ at the International Conference on Food and Nutrition Technology for Public Health Care, organised by International Institute of Stress Management and Allied Sciences (IISMAAS) on 4-5 May, 2012 at Jawaharlal Nehru University, New Delhi. Recipient of Consolation prize in oral presentation (Clinical Nutrition category) entitled ‘Predictor variables of serum 25(OH)D in adult women population of Vadodara city’ at the International Conference on Food and Nutrition Technology for Public Health Care, organised by International Institute of Stress Management and Allied Sciences (IISMAAS) on 4-5 May, 2012 at Jawaharlal Nehru University, New Delhi. Recipient of First prize in oral presentation entitled ‘Identification of at risk Diabetics using a risk score card’ at the Regional Science Congress on Science for shaping the future of India held on 15-16th September, 2012 by The M S University of Baroda and Indian Science Congress Association (Baroda Chapter), Vadodara. Recipient of First Prize in poster presentation entitled “Impact of Flaxseed (Linum usitatissimum) Supplementation on the Glycemic Status of Overweight/Obese Adult Male Subjects” at the National seminar on Nutrigenomics: A promising tool for combating chronic diseases. Ranjani has a Master’s degree in Dietetics and Food Service Management, certification in Paediatric Nutrition and is also a Certified Diabetes Educator. She is a Dietician by profession with an experience of counselling over 2000+ clients over the past 4.5 years. She has founded Nutrilife in March, 2013 with a goal to serve individual clients across the world through its online, telephonic and face-to-face Nutrition consultation and counselling. With every growing year, Nutrilife is growing by adding more quality nutrition services such as nutrition workshops, concept development for foods start-ups, nutrition content management and menu planning for restaurants, child nutrition programmes, and special diabetes programmes etc. Each resulting success story adds one more brick adding to the foundation of the company making it stronger, and stronger. She is an active member of the Indian Dietetic Association (IDA) and is also being certified by the University Grants Commission (UGC) for lectureship all over India. 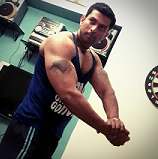 Nikhil Bhagat describes himself as a Personal Trainer. He has 15+ years of experience in the personal training and specialises as an Athletic Trainer, Personal Trainer for Weight Management, Pilates Trainer amongst normal fitness trainer. Nikhil Bhagat has created a Niktransformer Training System. He wanted to give the average person the same access to elite, effective training techniques and exercises that is provided to the Pro athletes. The Niktransformer Training System is an ever-evolving, fast, effective workout that builds lean muscle and burns fat in as little as 20-30 minutes per day, only 5 days a week. He is a certified health and fitness trainer from ASCM (American College Of Sports Medicine). He has trained top models and celebrities like Shahid Kapoor, Remo Fernandes, Angat Hasija, Mrunal Jain, Ashish Kapoor and Rimi Sen.
Richard is a Chef and Food Expert with around 30+ years of experience in the hotel and catering industry. Currently, he is running an outdoor catering outfit by the name of Silver Bells Catering & Allied Services Pvt. Ltd. and is the Chef/Director involved in the day to day compilation and execution of meals in excess of 5000 pax, catering for more than 15 corporate entities, across a broad range of sectors right from banking & finance, IT and BPOs, advertising firms, production houses, and educational institutions. Richard specialises in traditional Indian Christian food (namely Goan, Mangalorean, East Indian and Anglo Indian) and modern Western trending food whereby his expertise is utilised by Star hotels, clubs and other elite caterers to cater to a distinctive and a very discerning palate. He also offers consultancy services for setting up restaurants and bars right from conception to operational stage, which includes staff recruitment and training, menu costing and setting operational procedures. He recently helped in the turnaround of food outlets in a business tower and at the Diamond Bourse at BKC. Rushina Munshaw-Ghildiyal is a corporate food consultant, food writer, food stylist and author with more than 10 years of experience in the Indian food industry. 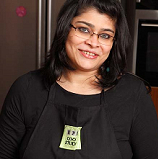 Rushina began her food career in 2004, as one of India’s pioneering food bloggers. Her blog became one of the most popular food blogs in India, and grew into A Perfect Bite® Consulting, a premier food consulting firm opened in 2009. 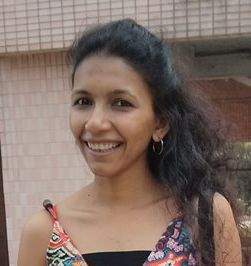 In 2012, Rushina launched India’s first home cooking studio – APB Cook Studio® to inspire food-lovers to expand their worldview of food through various initiatives. Her first book, A Pinch of This, A Handful of That, published in December 2013 recently won a World Gourmand Award. She has worked across sectors all around from retail to travel to media like Manga Tree, Godrej Nature’s Basket, Mahindra India, Kellogg’s India, Bertolli India, Beacon Holidays, Tourism Australia and many more. 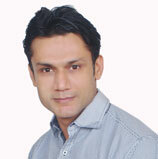 Mr Neeraj Mehta, is a world renowned Fitness Therapist and Expert. He is a PhD in Human Bio Mechanics and Alternative Medicine. Currently doing fitness shows with Tata Sky's Active Fitness by the name of 'Body Engineering with Neeraj Mehta'! A visionary since a very early age, Neeraj Mehta's tryst with the world of fitness began at a very early age of 9 years when he started practicing martial arts and became a national champion at the age of 12! For the last seventeen years he has been the Director and Technical Head of GFFI Fitness Academy and has trained over thirteen thousand trainers who are currently engaged in serving the vast and ever growing fitness industry. He is known as a body balancing specialist, capable of getting his clients in their best ever shape in the quickest possible time. With an incomparable and unmatched experience of 35 years in 14 different fitness conditioning fields like karate, taekwondo, kick boxing, Tai Chi, Iron Yoga, Pilates, and Cross Training, Neeraj Mehta have amassed over 100,000 hours of practical experience in coaching athletic excellence, general clients and therapies for injury rehabilitations. He is also committed to the science behind the human movements while exercising and analytically sound nutritional planning. She has an experience of over 4 years of counselling people on their dietary practices. She has worked with corporates and done many activities for them like nutrition week and seminars to create awareness among the employees of the corporate. She has even guided many sports players on their diets. Ms Cherisha started with her clinic, Vie Saine for a friendly consultation, in order to help people find wisdom in food and un-complicate the process of following a healthy diet. Her diets are very holistic and help enhancing athletic performance and rejuvenate health. 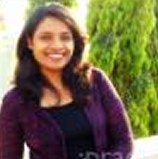 Cherisha also works with Protein Foods and Nutrition Development of India (PFNDAI) as a dietician.